Many travelers say that Spain is one of the most beautiful countries in the world, sitting on the shores of the Mediterranean Sea and the Atlantic Ocean. Home to the traditional and world famous bull fights and the pulsating rhythms of the flamenco music and dance, and beautiful beaches. One of the cultural centres of Europe, Spanish influences throughout the world come from this rich tapestry of history that is reflected in their culture, food, language, art and way of life. Even the Spaniards say Spain is different – they don’t say what they mean and perhaps they don’t even know. Every one of the 17 regions of Spain is different from the other, not only in geography and climate, but in culture and personality. 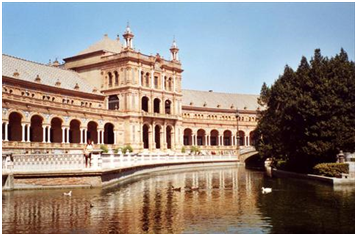 Spain has the second largest number of UNESCO World Heritage sites in the world, and travelers can visit ancient cave paintings, historic ruins from the Roman era, Gothic and Renaissance cathedrals, collapsing castles and amazing palaces. 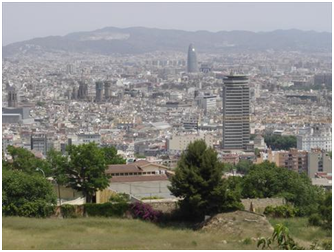 Barcelona is the capital of Catalonia and the second largest city in Spain, after Madrid. With a population of 5 million, it is Europe's largest metropolis on the Mediterranean coast. Barcelona is recognised as a Global City that is important in finance, commerce, media, entertainment, the arts, international trade, education and tourism. Barcelona is the 12th-most-visited city in the world and 4th most visited in Europe after London, Paris and Rome, as well as being the most popular tourist attraction in Spain. Although originally Barcelona was founded as a Roman city, today it is an important cultural centre with a rich cultural heritage. Thinking of a trip to Spain often evokes images of lively seaside resorts, family package holidays and more British tourists than you can shake an orange flavoured ice lolly at. For years, it has acted as a 'go to' destination for families, older groups or anyone looking for a quick and easy week in the sun, and rightly so. It's no secret that many locations in Spain cater for this kind of tourism, hot spots such as Benidorm are well-known for their heavy flow of inbound tourism, and they thrive on the interest too. I have memories of holidaying in Spain with my grandparents as a child, and remember vividly the stereotypical English holidayer experience, but I was fortunate enough this summer to visit a family who have now moved to the country. The reason I found the trip so fascinating is I got a much more rewarding experience during the trip; the area was far from any tourist hot spots, and allowed me and my partner to delve a little deeper into the quirky side of Spanish culture. 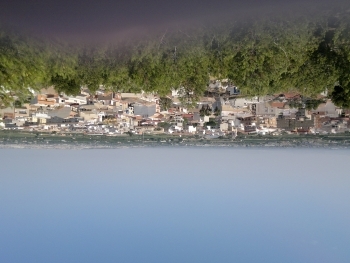 We stayed for a week with my family in the small town of Rojales, which is situated next to another small town, Benimar. The nearest seaside beach location was around an hour's drive from Rojales; it seemed to be much more popular with the locals than with English tourists, likely due to the lack of nearby holiday resorts and hotels. 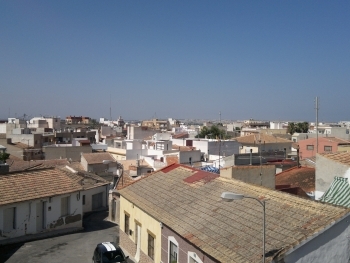 While Rojales is mainly made up of new buildings housing mostly English migrants, the surrounding areas are much more rural and fascinating. While many people from the U.K. enjoy Spain for it's convenient location and almost guaranteed hot weather, I found the small gems we discovered on our travels to be the highlights of our trip. 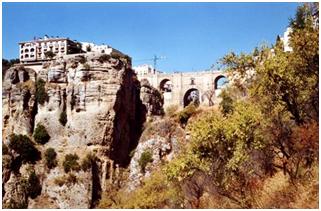 A short drive into the centre of Rojales revealed a neighbourhood of small, quirky houses and huts; some built into the natural caves and others of old stone and steel sheets. Scattered around the neighbourhood were numerous pieces of weird and wonderful alternative art, made from foraged scrap material by the neighbourhoods local bar owner. The gnarled, rusted pieces of scrap metal portrayed images from a slender chap playing a tune on a make shift piano, to a mounted golden globe, more than enough to keep us fascinated for hours! Further into the countryside we came across the locally famous ‘shell house’. Extended and raised to have the appearance as a sort of miniature castle, every inch of this house in covered in seashells. 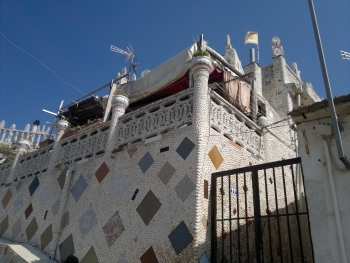 The attention to detain and consistency in patter and design is simply astounding, and for a small donation of just a couple of Euros, the owners are happy to let you wander the grounds and climb to the open roof. Travelling into the nearby hills brings the eager traveller to a steep climb, leading to three large mounted crucifixes. From here you can see for miles around, and at night the three crosses are illuminated, visible from all surrounding towns and villages. Looking a little deeper into a country and wandering from the beaten track can often lead to surprising and pleasant experiences. Be sure to research interesting features before heading abroad; who knows what you may find! This article was written by Alexandra, an enthusiastic traveller and blogger on the aspect of cultural experiences for SkyParkSecure who offer secure airport parking at Heathrow for excellent prices! Send us your story about a holiday destination or experience in Barcelona or Spain.